One of things that’s important for those aspiring to leadership positions in law enforcement to keep in mind is the double-edged sword of celebrity. As social media continues to dominate huge swaths of American public life, many law enforcement leaders that would not have been famous pre-internet are now de facto celebrities. Milwaukee County Sheriff and Fox News regular David Clarke is a prime example. While they’re working in your favor, all those television cameras and microphones can seem like friends. But then a scandal breaks. Then another. Now, all of a sudden, the very cameras that made you famous are making you infamous. 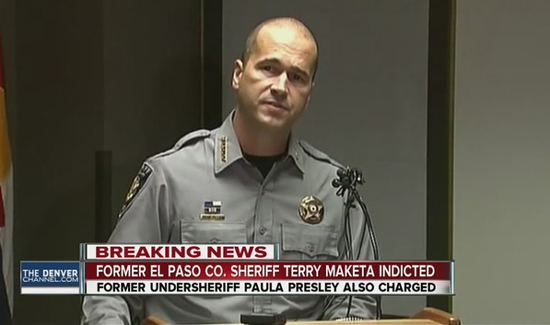 At any rate, things aren’t really going all that well for former El Paso County, Colorado, Sheriff Terry Maketa.